University Housing is recruiting resident assistants (RAs) for the 2019-20 academic year. 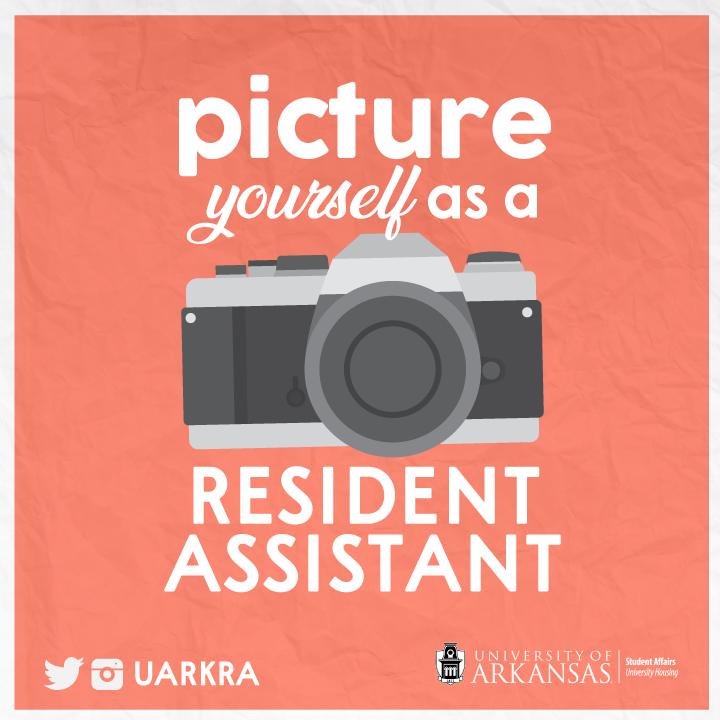 An RA is an upper-class student who serves students living in the residence halls. The RA role is one of a community facilitator and role model, providing leadership and assisting residents in developing a positive community environment throughout the building. The RA program is part of the overall educational activity and programming provided by University Housing and helps educate the RAs on a variety of issues relevant to student housing and student affairs among other areas. A positive learning environment is one where active learning takes place through RA facilitated opportunities for faculty and resident interaction, seeking resident involvement and creating a sense of community among residents. Once you have attended an interest session, you will be invited to HogSync, where will you will be able to fill out the application. If you do not have your HogSync profile set up, please do so before coming to the interest session. Go to hogsync.uark.edu to sign in. Please email rahire@uark.edu if you have any questions. About University Housing. University Housing is a department within the Division of Student Affairs serving a residential community of around 5,700 on-campus students. More than 200 students find employment opportunities with University Housing each year. We offer educational programs that support the success of students and services that help students focus on academics at the University of Arkansas. Living on campus starts with a housing contract. About the Division of Student Affairs. The Division of Student Affairs supports students in pursuing knowledge, earning a degree, finding meaningful careers, exploring diversity, and connecting with the global community. We provide students with housing, dining, health care resources, and create innovative programs that educate and inspire. We enhance the University of Arkansas experience and help students succeed, one student at a time.